Photo by he Mining Association of Canada. 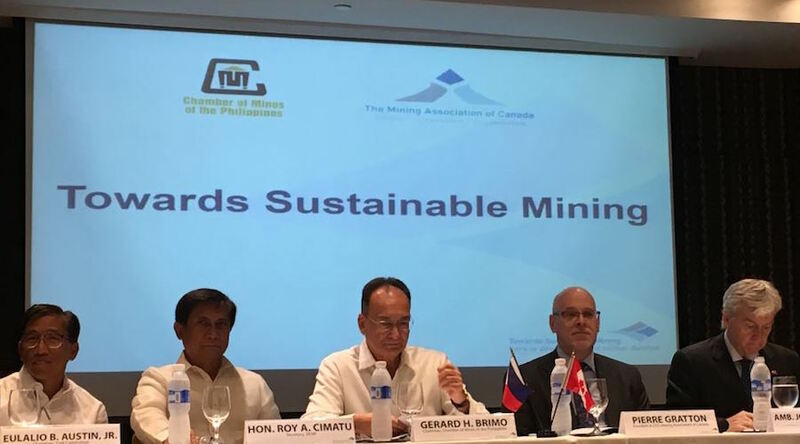 The Chamber of Mines of the Philippines announced that it will adopt the "Towards Sustainable Mining" initiative, a set of directives developed by the Mining Association of Canada. According to the Canadian organization, TSM requires mining companies to annually assess their tailings management, community outreach, safety and health, biodiversity conservation, crisis management, energy use and greenhouse gas emissions management. Transparency is also a key factor, as the results of such assessments are freely available to the public and are externally-verified for accuracy every three years. The Philippines is the fourth country to adopt the guidelines. While aligning them with those of Canada, chamber representatives will also have to tailor the protocols to reflect the unique aspects of its domestic mining sector. For example, they would have to balance the fact that stricter rules for the industry have come into effect, particularly after the Rodrigo Duterte administration banned open-pit mining. Other countries’ mining associations, such as those of Finland, Argentina and Botswana, have also started applying TSM. In each country, the principles are shaped by an independent, multi-interest advisory panel. Quoted in a TSM statement, the Chairman of the Chamber of Mines of the Philippines and President of the Nickel Asia Corporation, Gerard H. Brimo, said that the adoption of the guidelines is intended to institutionalize practices that secure the contributions that resource exploitation can offer to both "the economy of a nation and to the welfare of mining communities." The Philippines is the world's top nickel ore exporter and, according to industry expert Vladimir Basov, it is the second lowest gold cost jurisdiction.